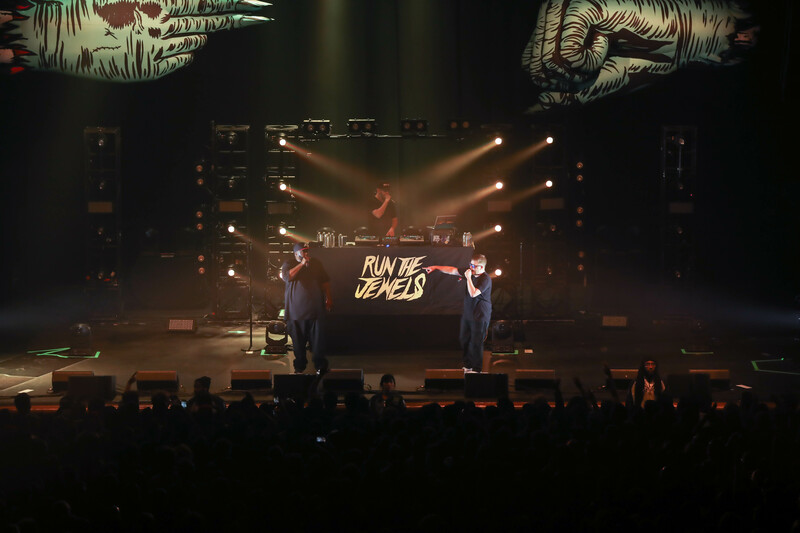 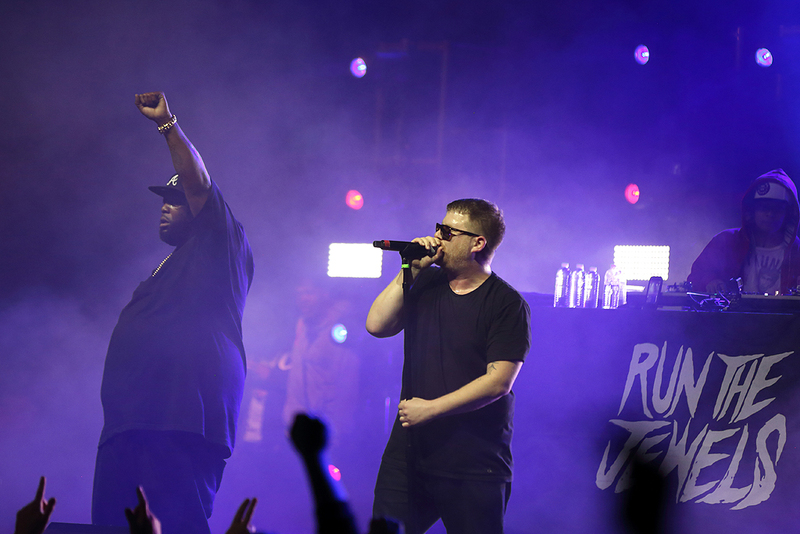 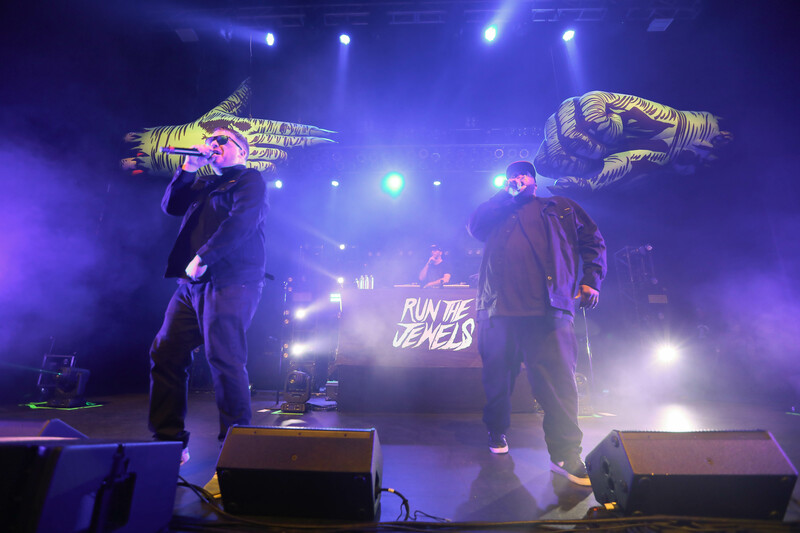 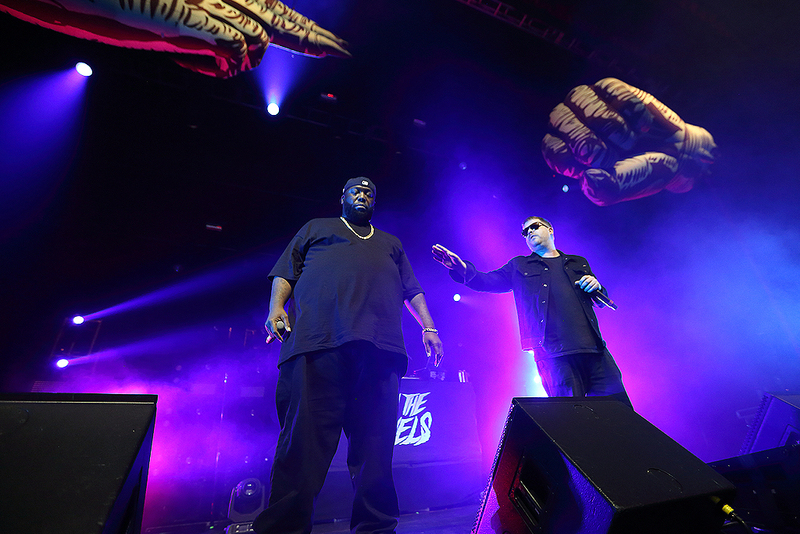 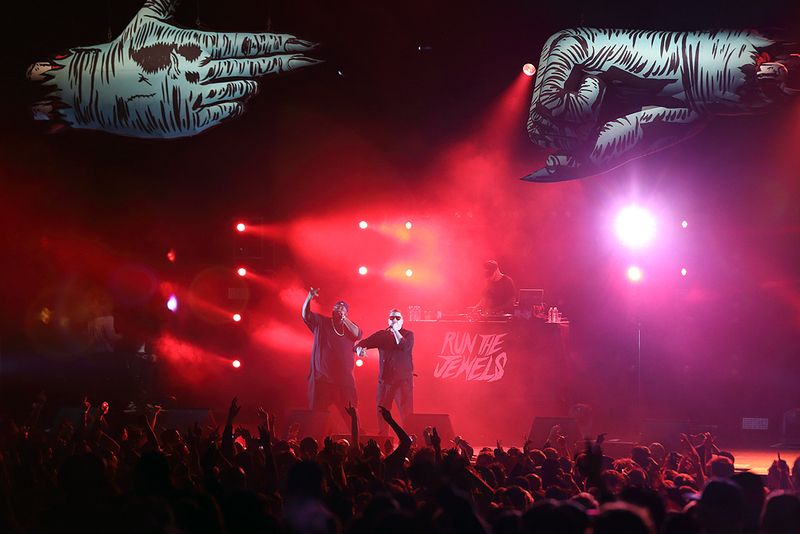 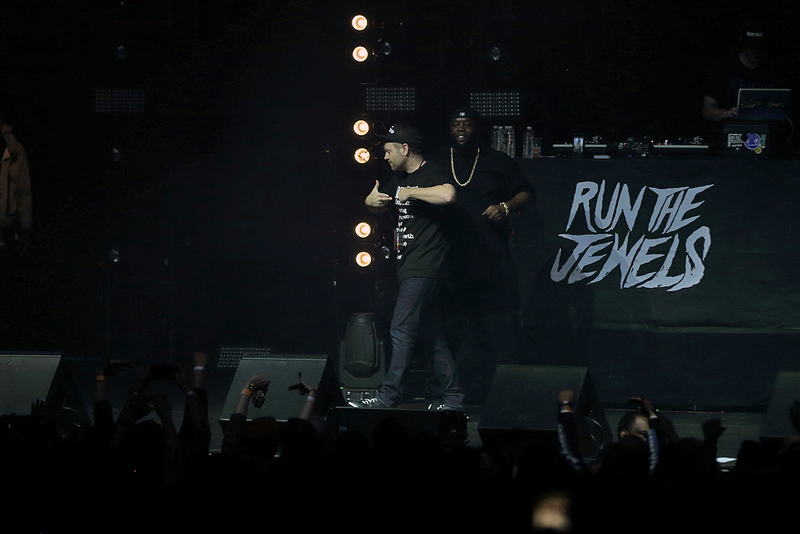 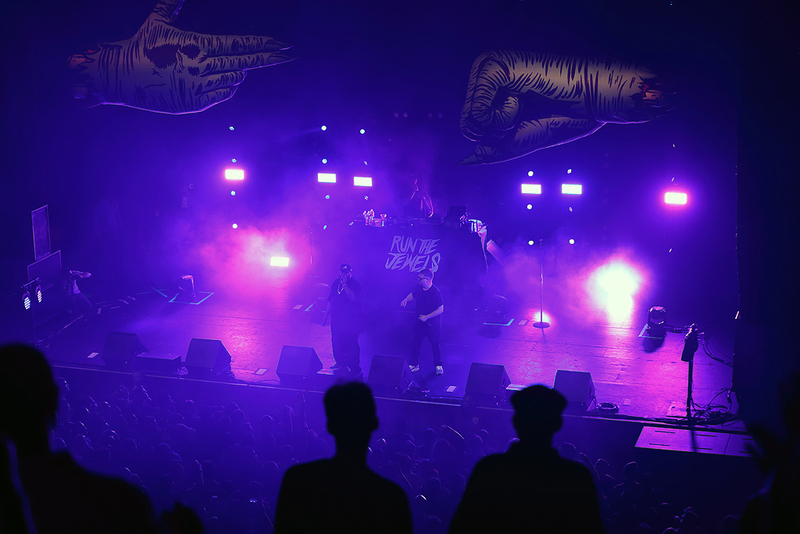 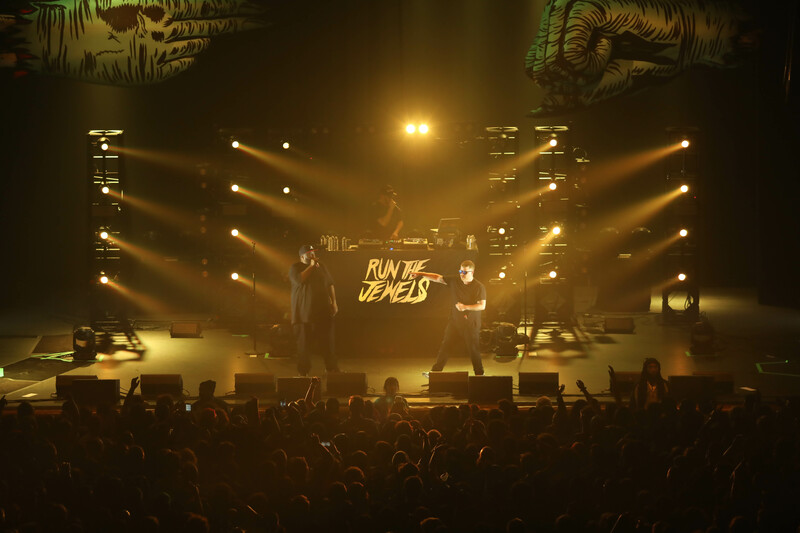 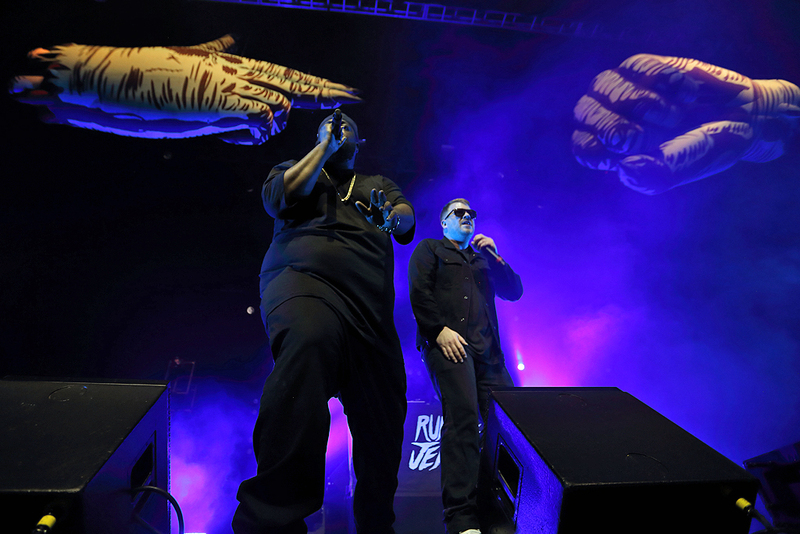 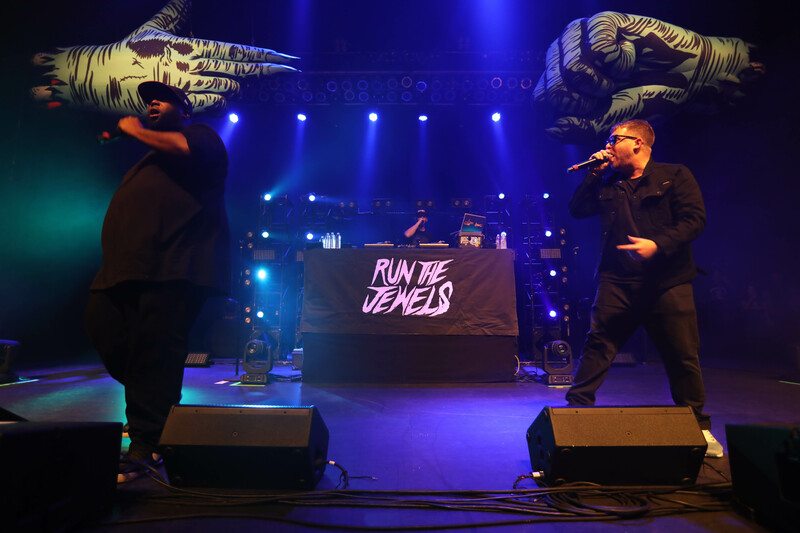 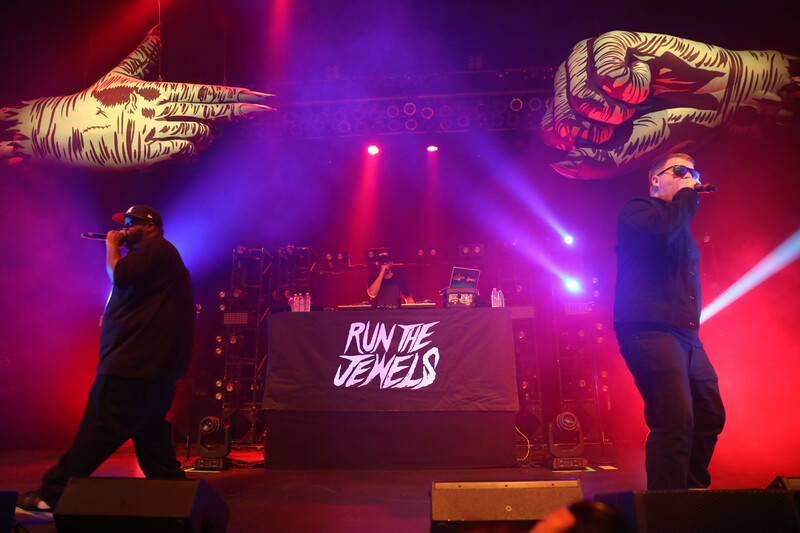 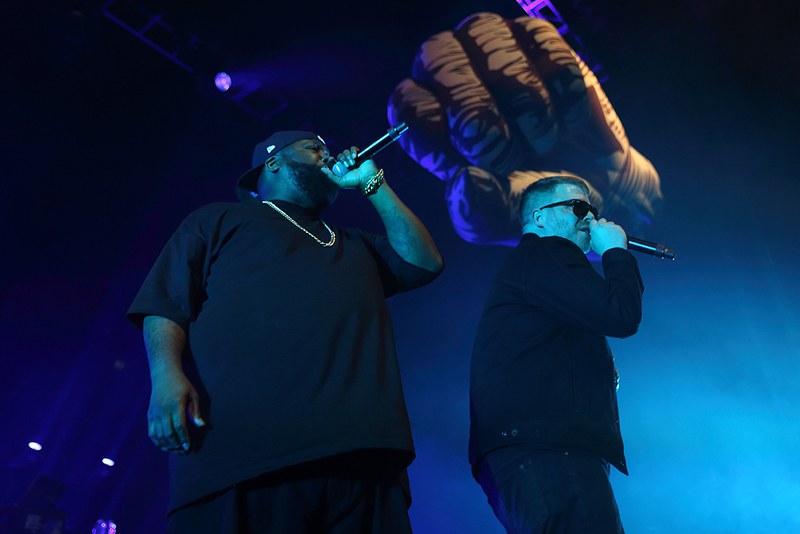 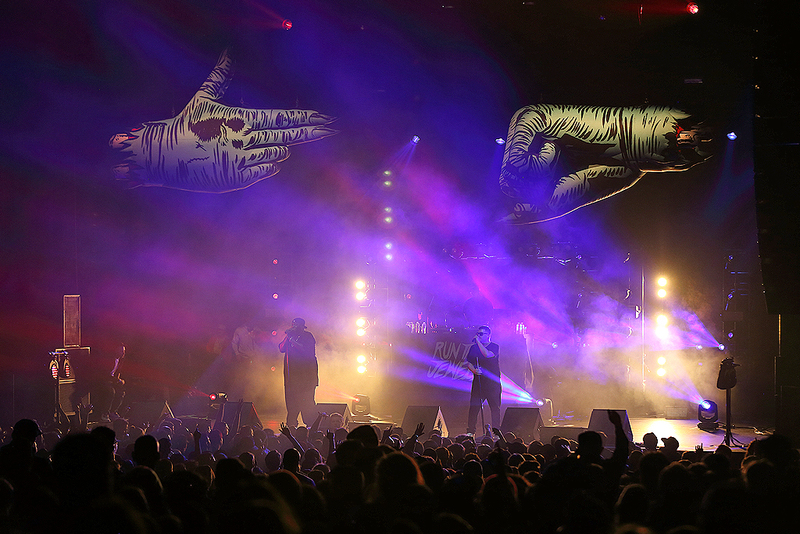 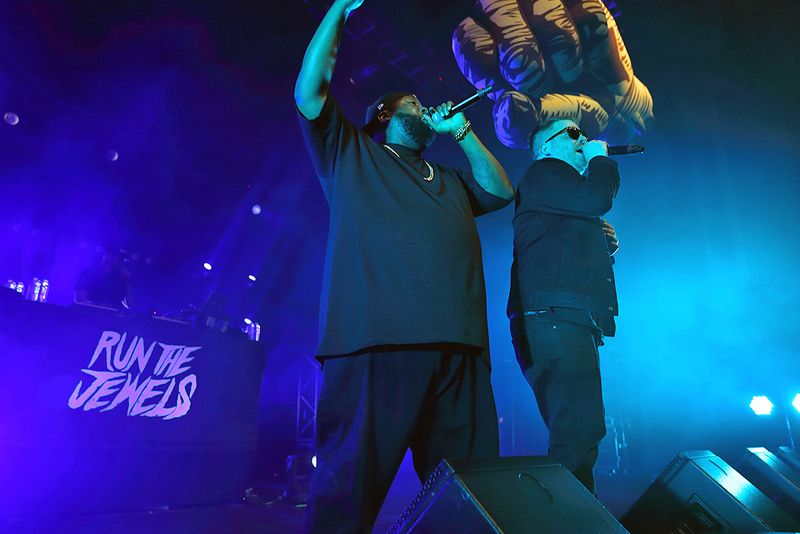 Fresh off their cameo-packed tour stop in LA (read our review here), Run the Jewels crushed back-to-back shows in Northern California. 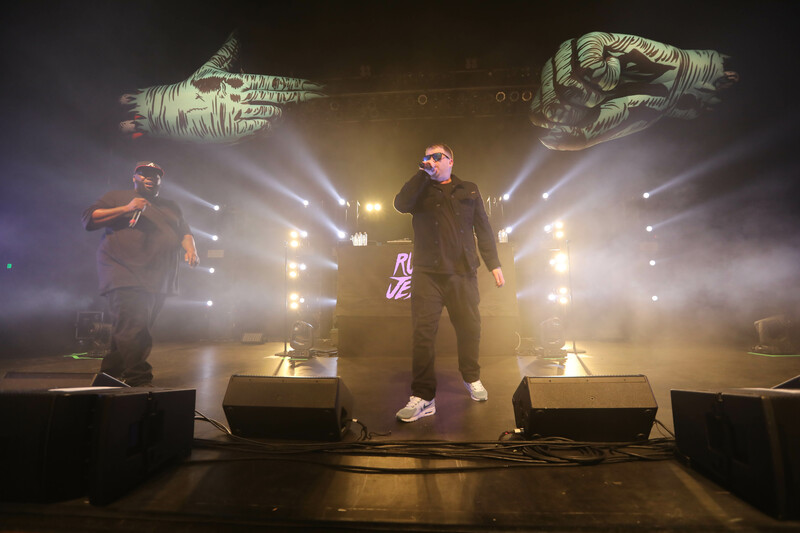 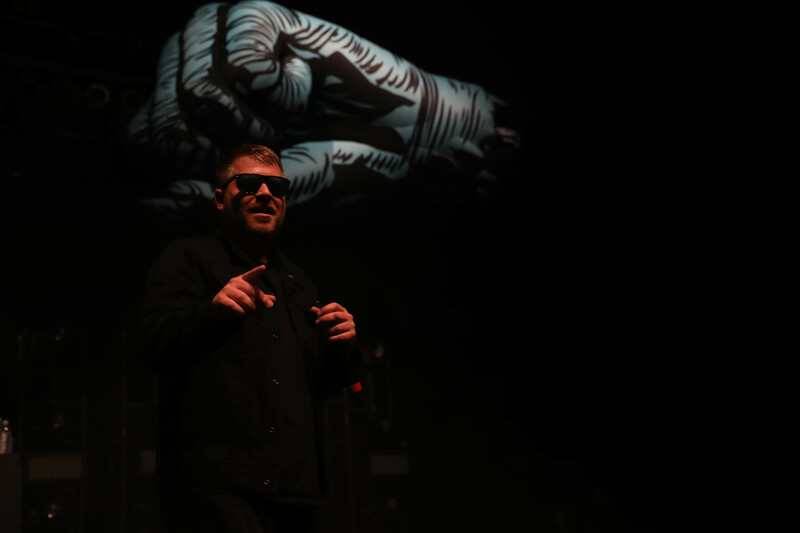 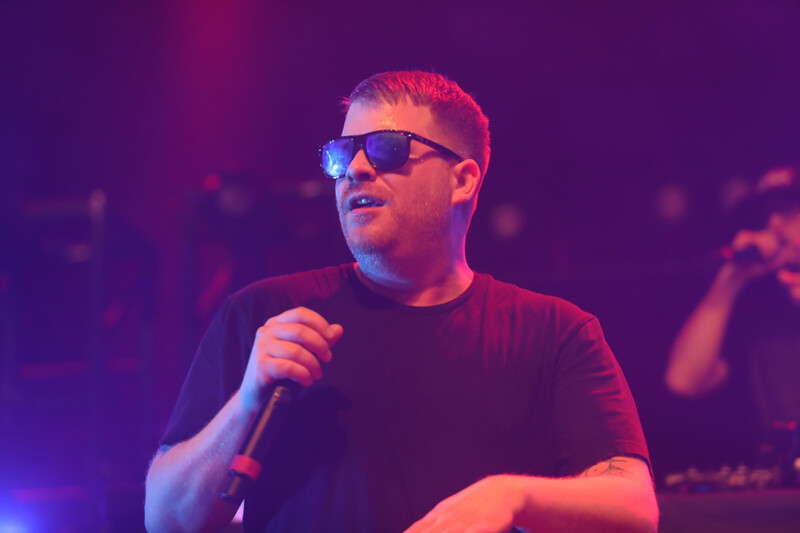 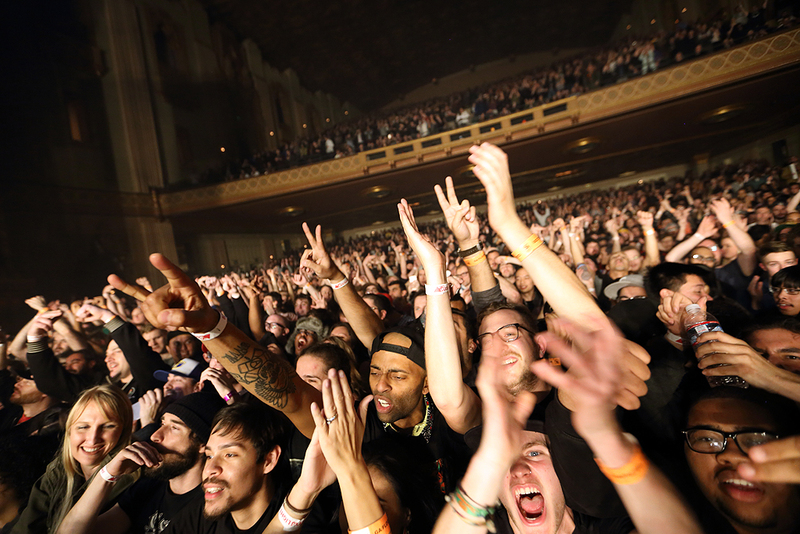 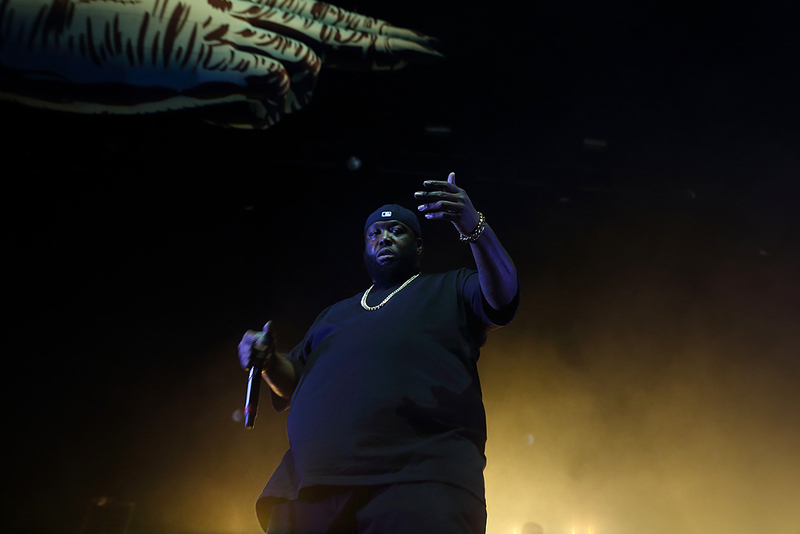 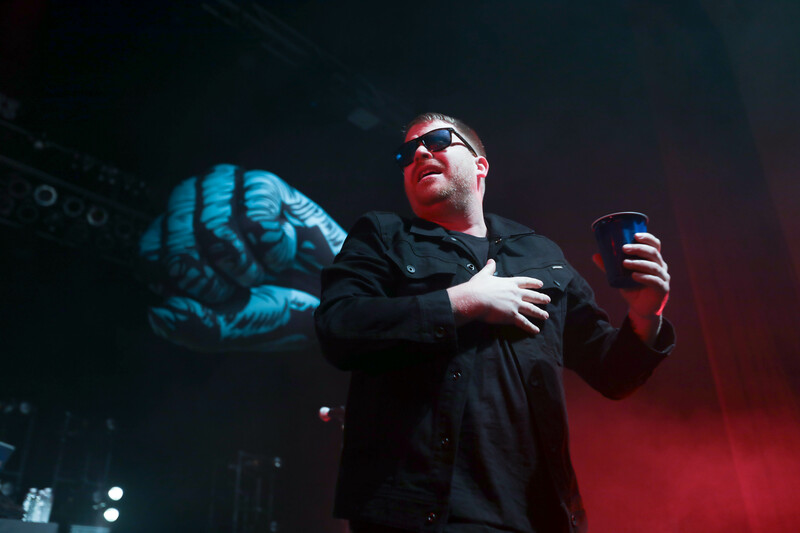 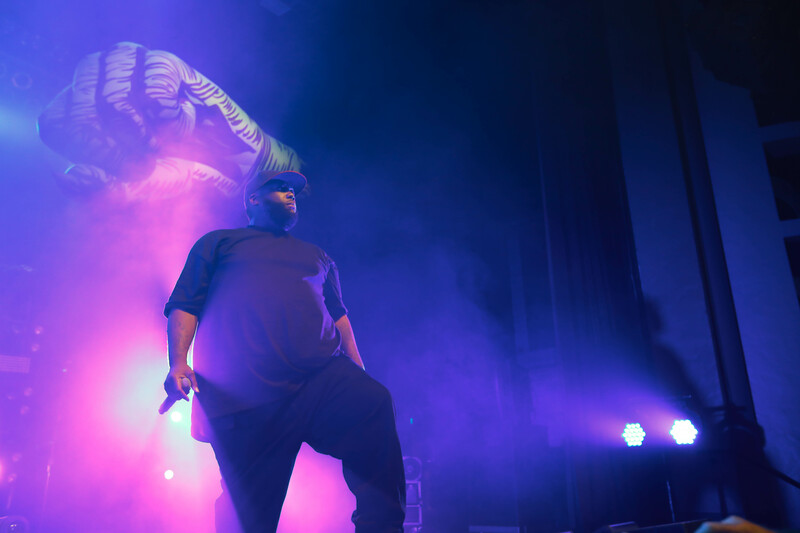 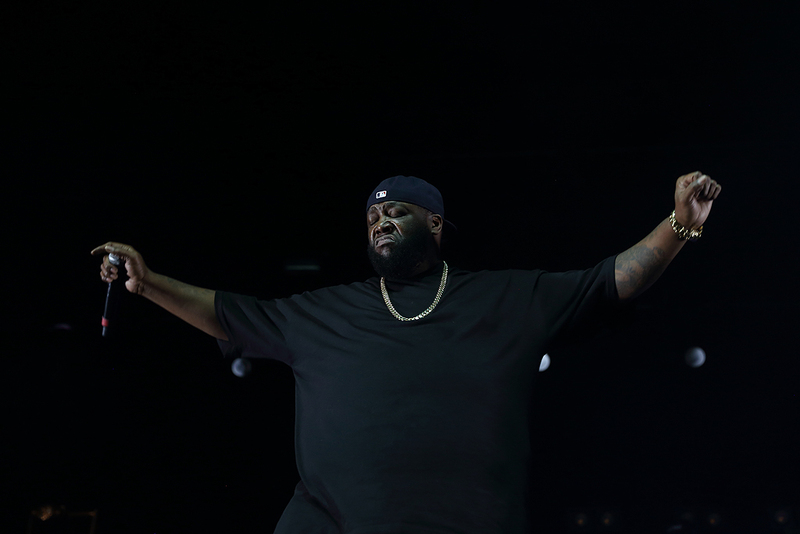 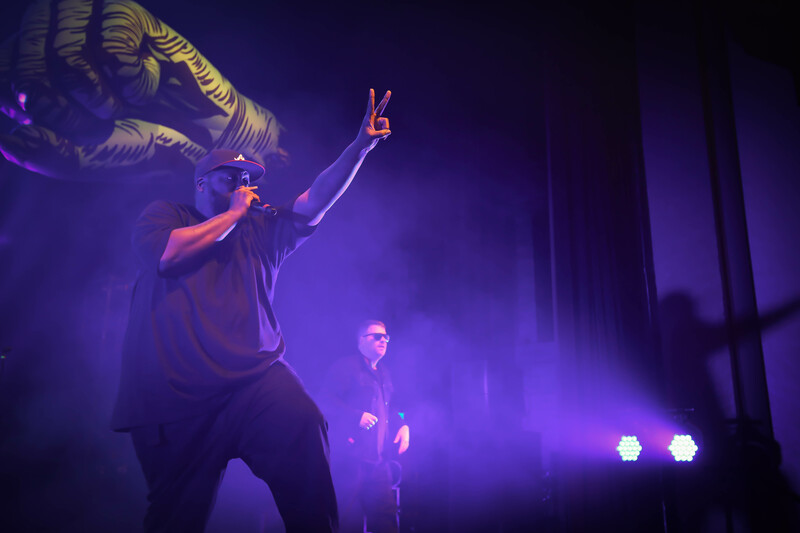 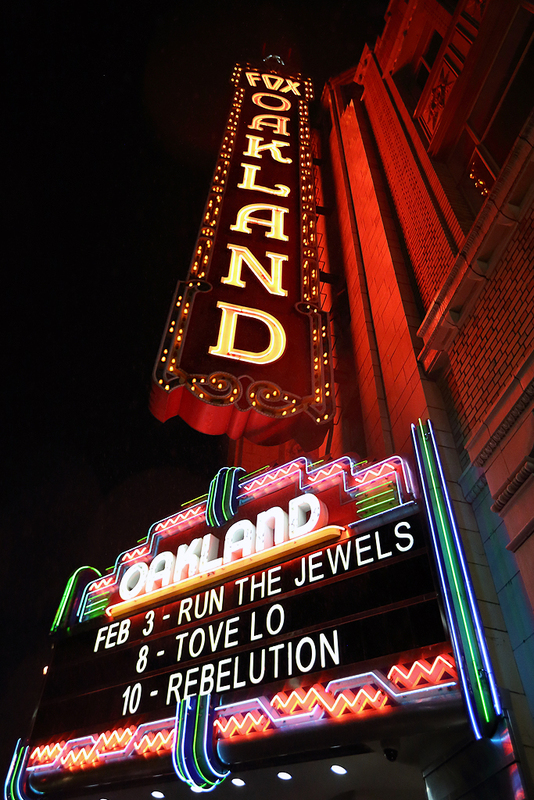 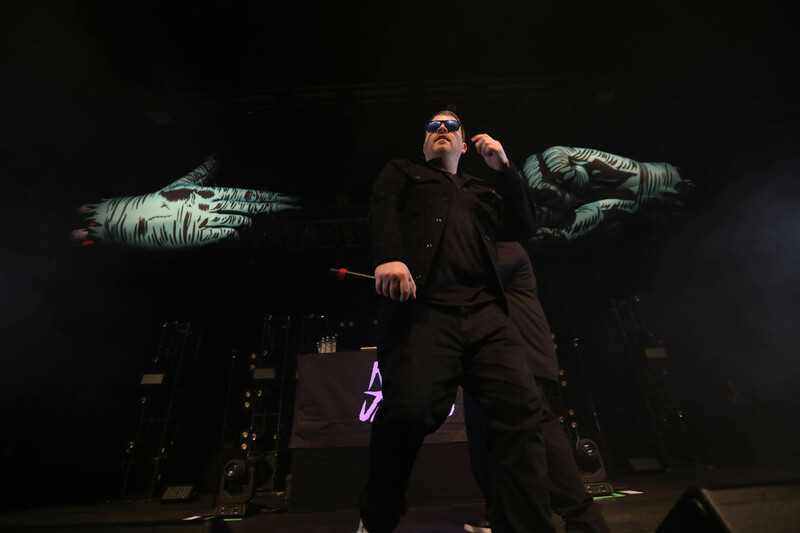 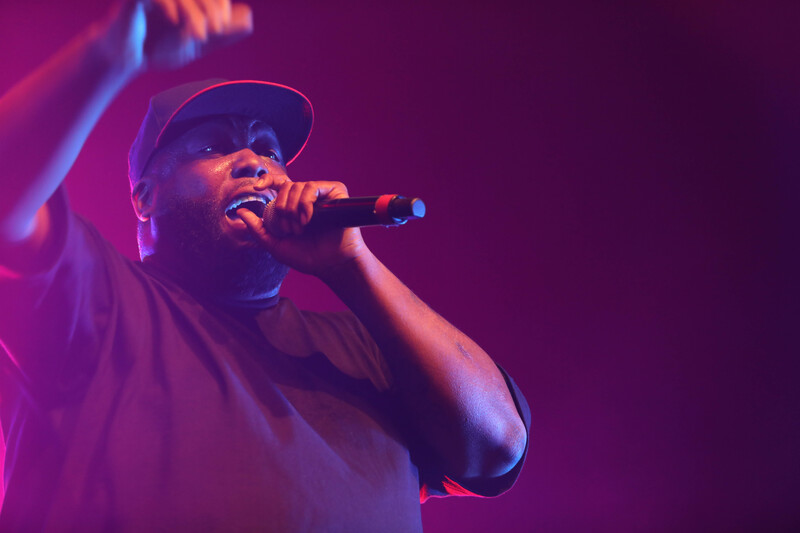 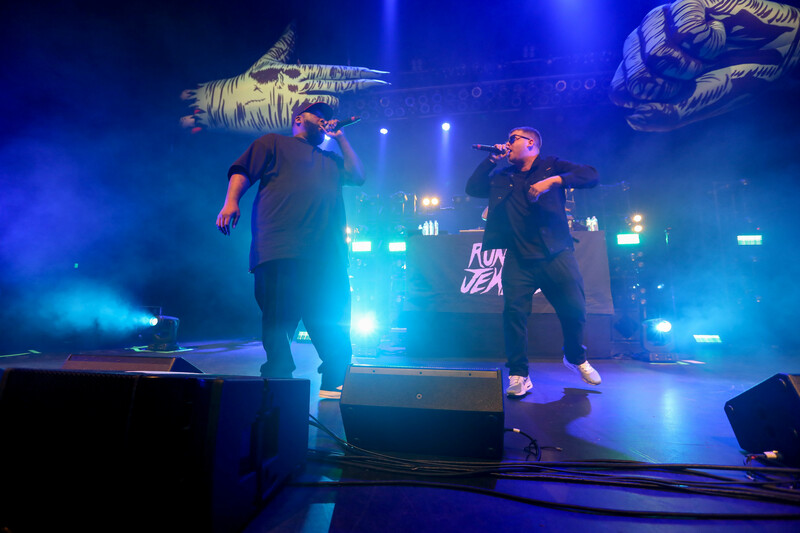 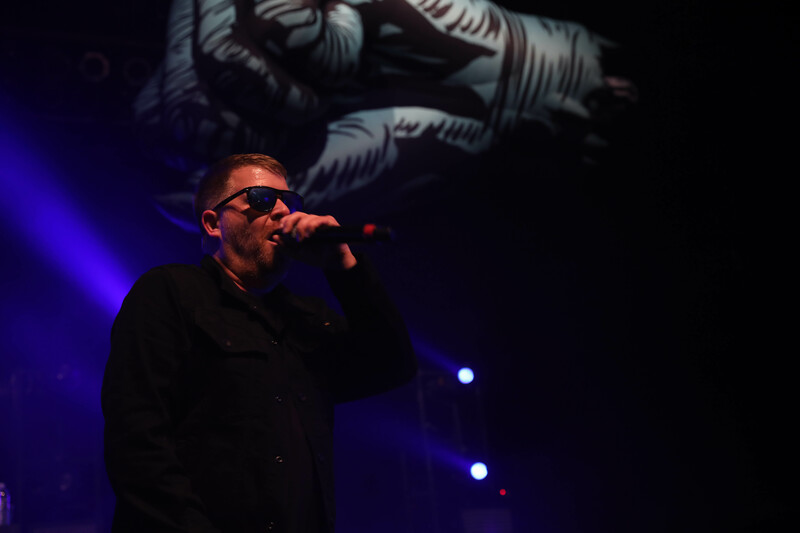 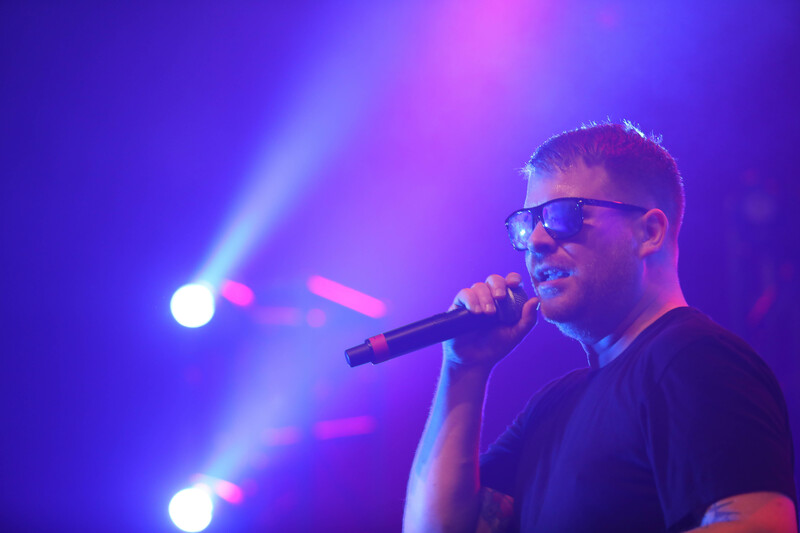 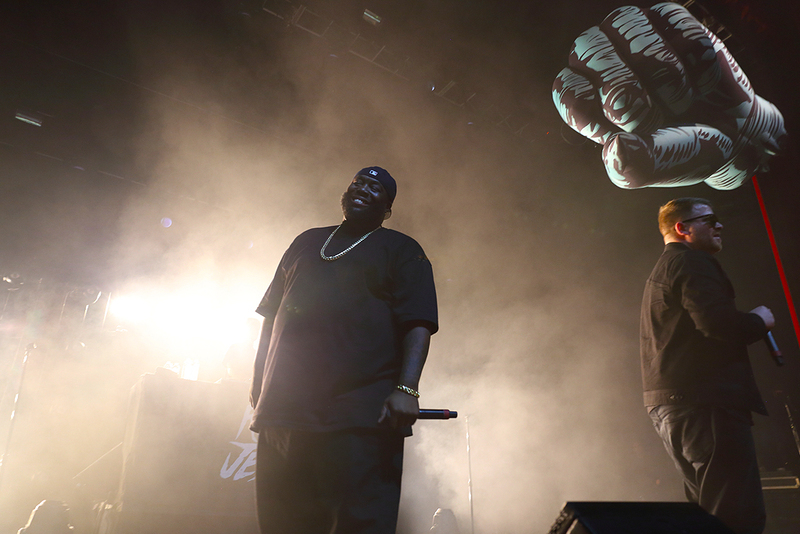 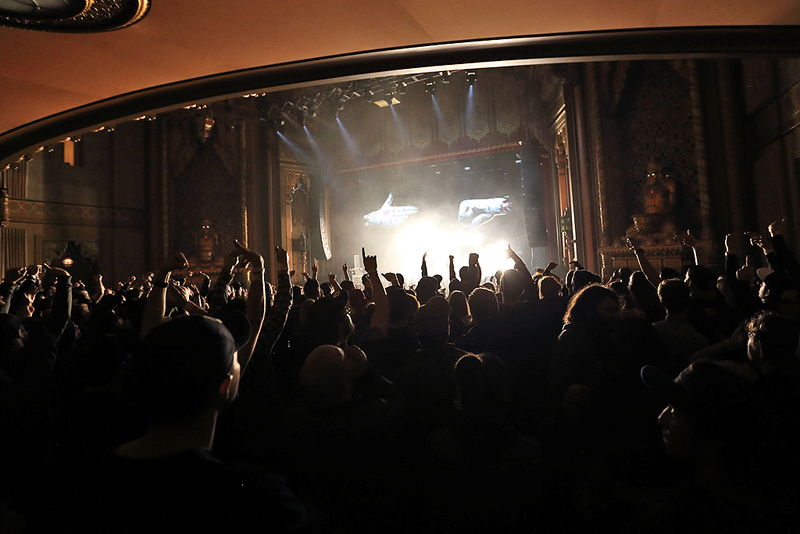 Playing the City National Civic in San Jose as well as the Fox Theater Oakland on a Thursday and Friday night, respectively, El-P and Killer Mike catapulted off the energy from their SoCal performance and sailed into a lyrical stratosphere for their Bay Area fans. 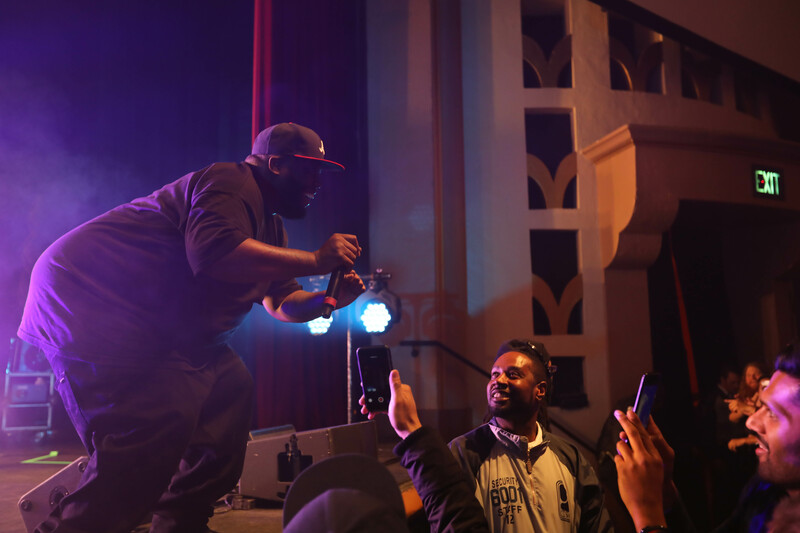 In San Jose and Oakland, the two powerhouse emcees touched upon Northern California’s hip-hop history by giving ample credit to those who showed up and filled the both venues. 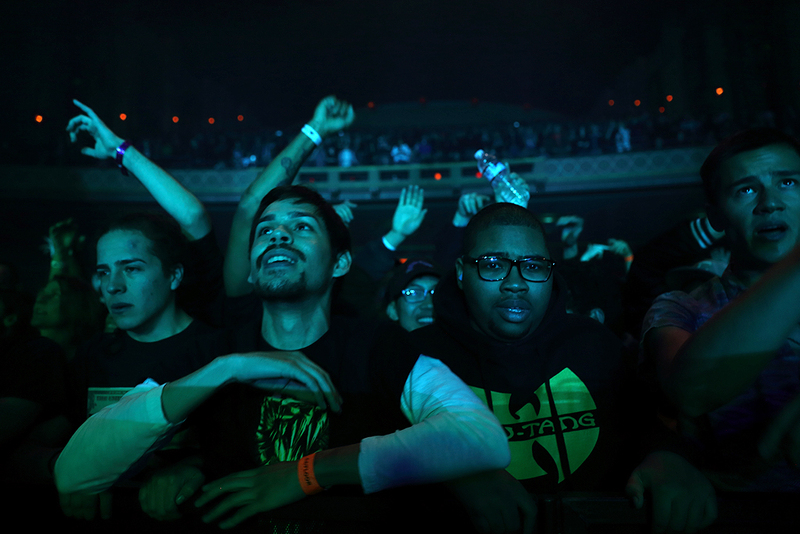 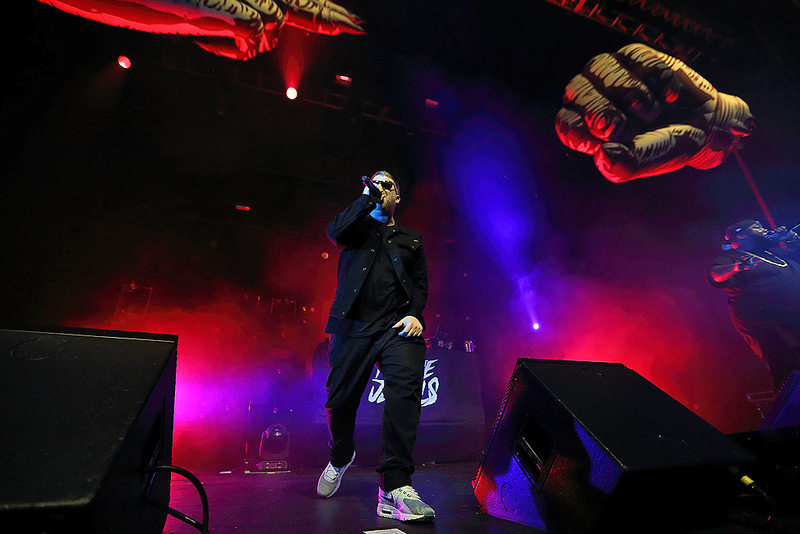 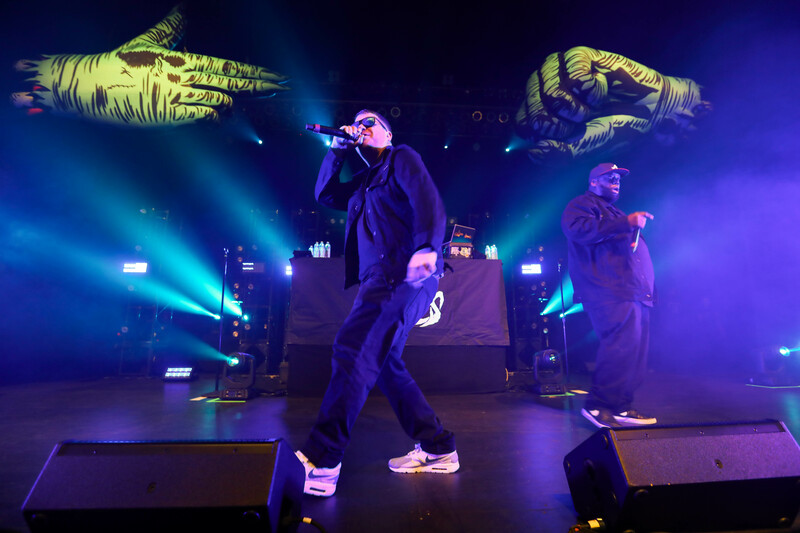 They each took time between songs to discuss their personal appreciation for the Bay Area and its legacy of artists who have played an integral part in bringing rap, as both a musical genre and lifestyle, to the masses. 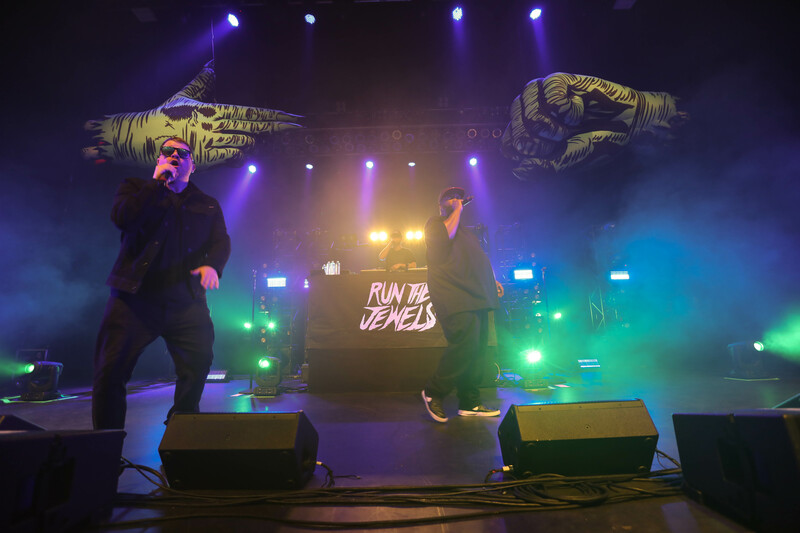 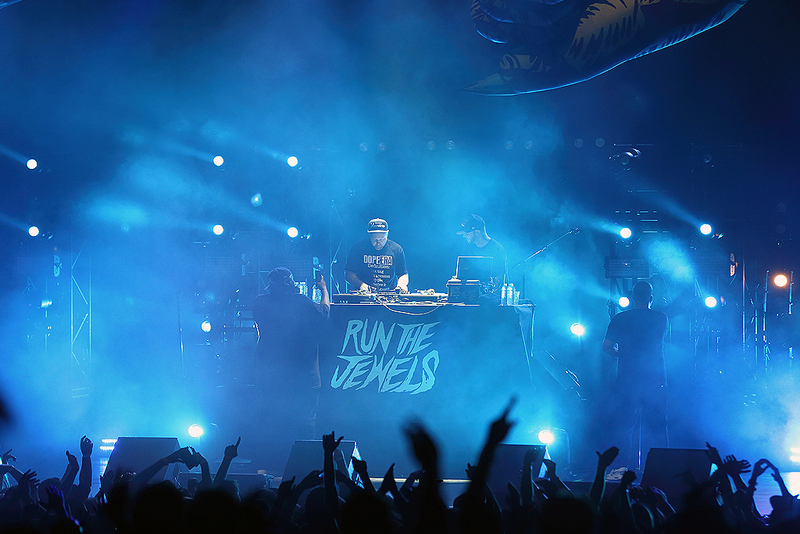 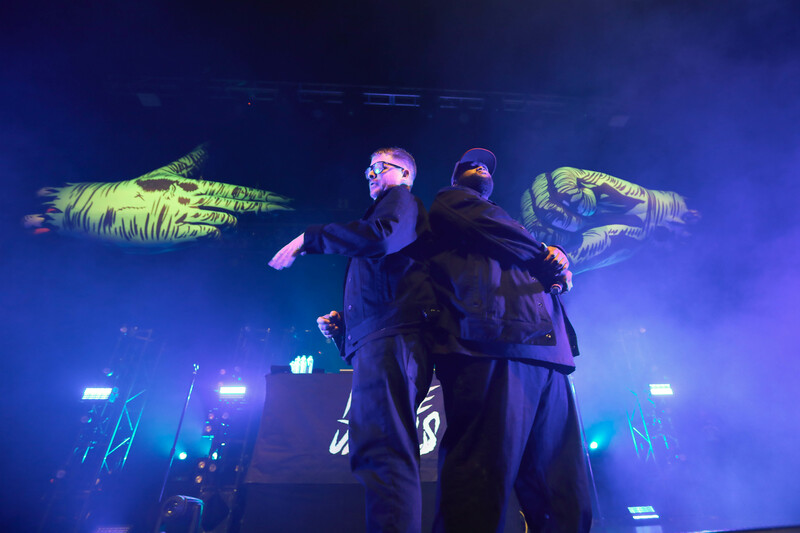 Playing an epic set of bangers, RTJ showcased their rowdiest songs from all three of their LPs, keeping the crowd’s energy at a fever pitch during their NorCal shows. 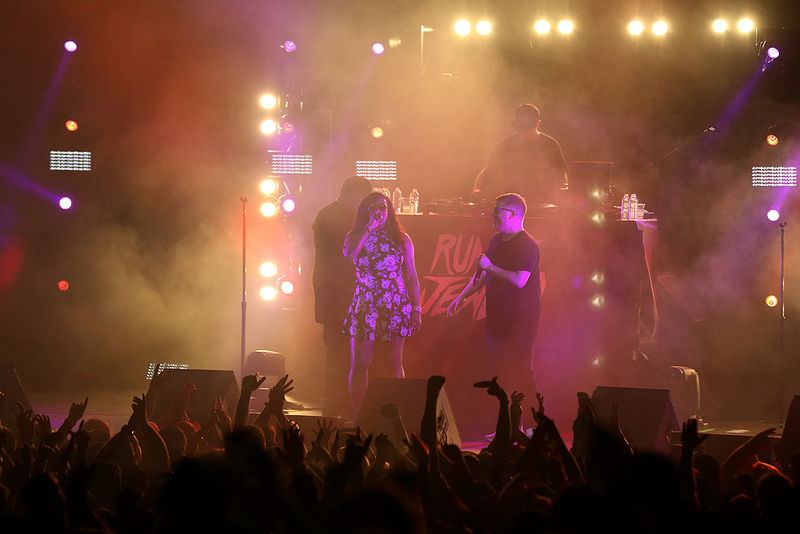 San Jose and Oakland each got their own surprise guests and support from Gangsta Boo on the group’s seminal duet “In Love Again” from Run the Jewels 2. 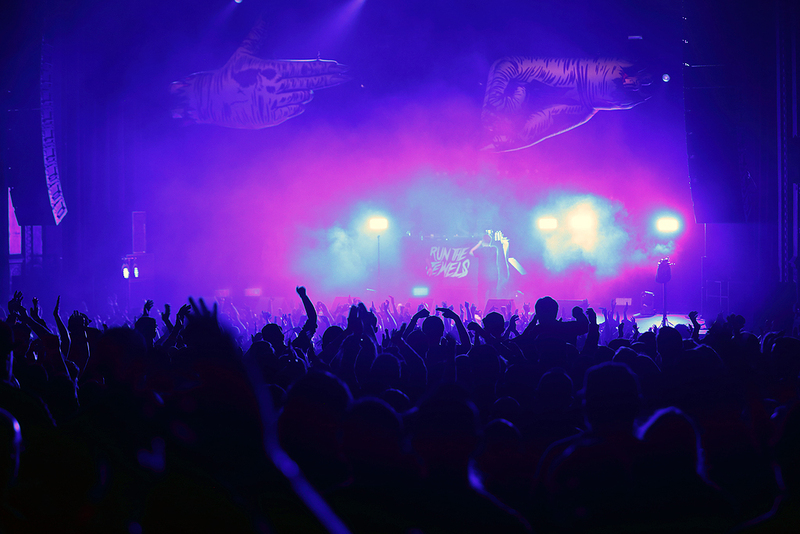 In San Jose, DJ Qbert jumped onstage during “Don’t Get Captured”, and the following night in Oakland, DJ Shadow prodigiously threw down for a live performance of “Nobody Speak” as one of the show’s biggest highlights.